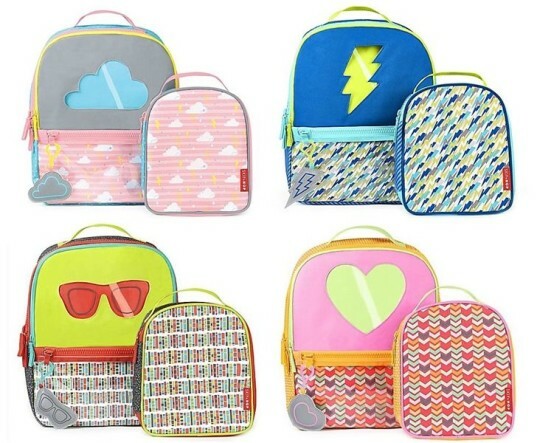 We've always loved Skip Hop's collection of sweet and safe gear for little kids, including backpacks, lunch kits, toys, and more, but now, for the first time, and just in time for back to school, Skip Hop has introduced a new Big Kid's collection of goodies. The Big Kid collection features back-to-school gear that is slightly larger than their younger kids items, with designs that will appeal to your elementary aged child -- including hearts, clouds, sunglasses, and lightening bolts. The entire line coordinates with other products in the collection and makes getting ready for back-to-school a breeze. Skip Hop’s new line of clever backpacks for big kids features a window that shows the lunch bag inside its own dedicated compartment. There’s room for full size folders and extra pockets for artwork and notes. The backpacks come equipped with a matching lunch bag and reflective clip-on. In all, each three-piece set includes backpack, insulated lunch bag and reflective clip-on. 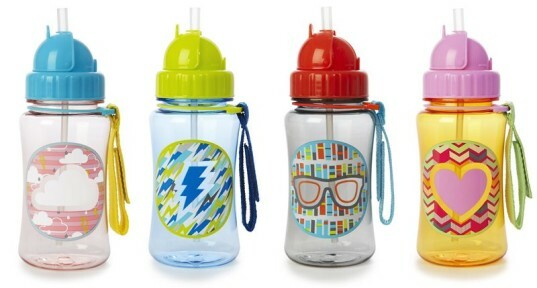 BPA-free and phthalate-free. The new kids lunch kit is perfect for toting lunch to school and works well with the backpack and lunch bag set. 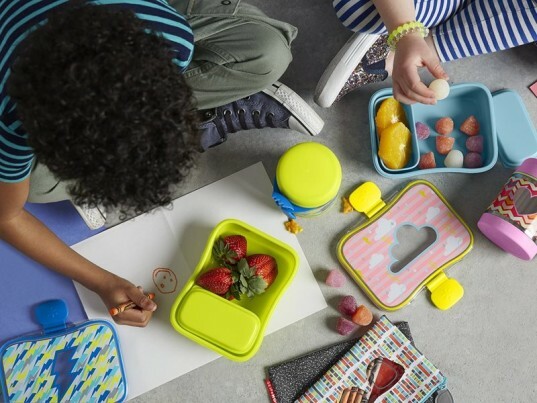 The lunch kit is BPA-free, PVC-free and phthalate-free, featuring easy-snap clips and a rubber seal that locks the lid in place to prevent leaks. The entire four-piece set includes lunchbox and snack container with leak-proof lids and is dishwasher safe. These BPA-free, phthalate-free, and PVC-free sport straw bottles make taking drinks to school a snap. Each water bottle has a pop-up lid so the flexible straw stays clean along with a handy Velcro strap. 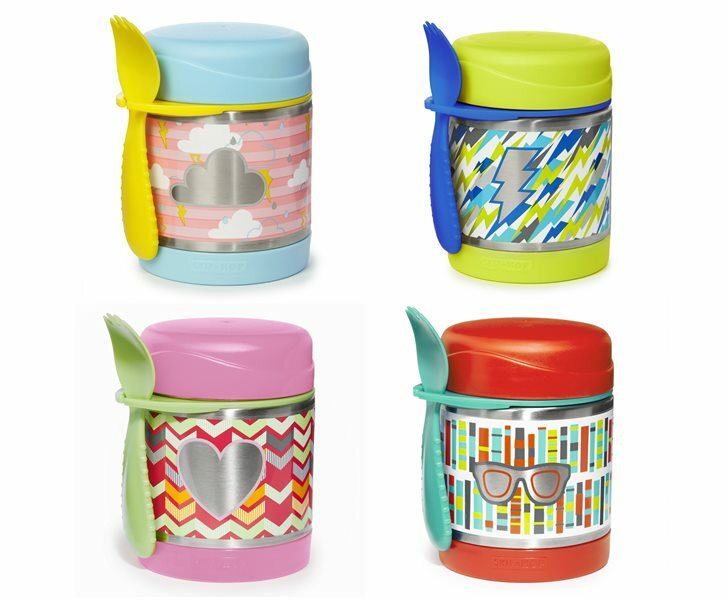 Keep meals warm or cold with these new cool-for-school kids food jars. Made with stainless steel, these food jars are naturally BPA-free, PVC-free and phthalate-free, and kids can store the spork, or most other utensils, in the handy built-in holder for on-the-go convenience. The jar comes with its own color coordinating spork (spoon+fork). 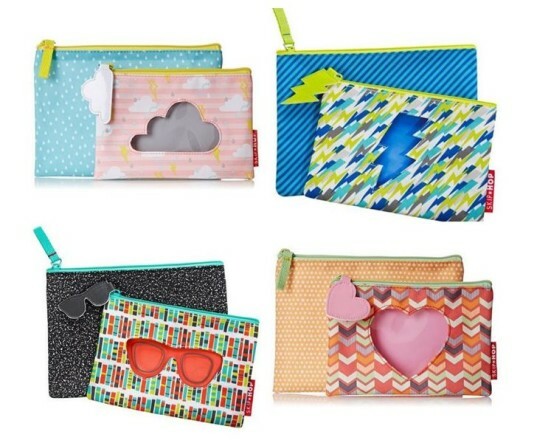 Zip off to school with these big kid pencil cases, designed to coordinate with the backpack and lunch bag set. Each zippered pencil case holds school supplies or small toys and feature a clear window that allows your child to view the contents. Two-piece set includes one large and one small pouch and is BPA-free and phthalate-free. 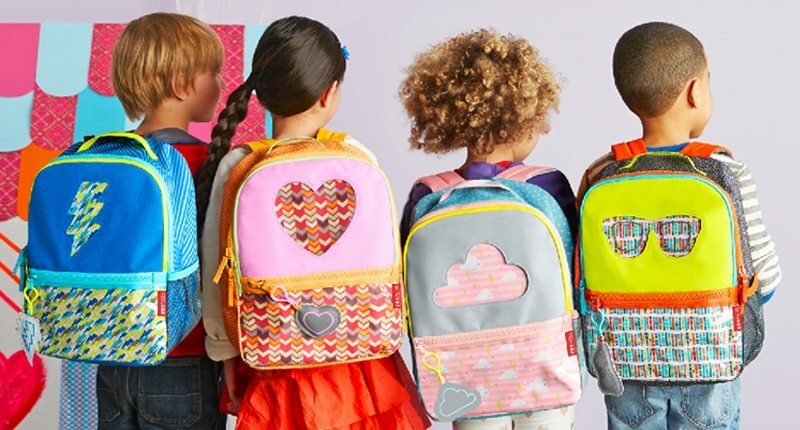 The Skip Hop big kid’s collection has almost everything you need to get your elementary child ready for back-to-school in cute, coordinated style, at an affordable price. Visit the Skip Hop shop to see all the products available in this collection. Skip Hop's new line of clever backpacks for big kids features a window that shows the lunch bag inside its own dedicated compartment. There's room for full size folders and extra pockets for artwork and notes. The backpacks come equipped with a matching lunch bag and reflective clip-on. In all, each three-piece set includes backpack, insulated lunch bag and reflective clip-on. BPA-free and phthalate-free.